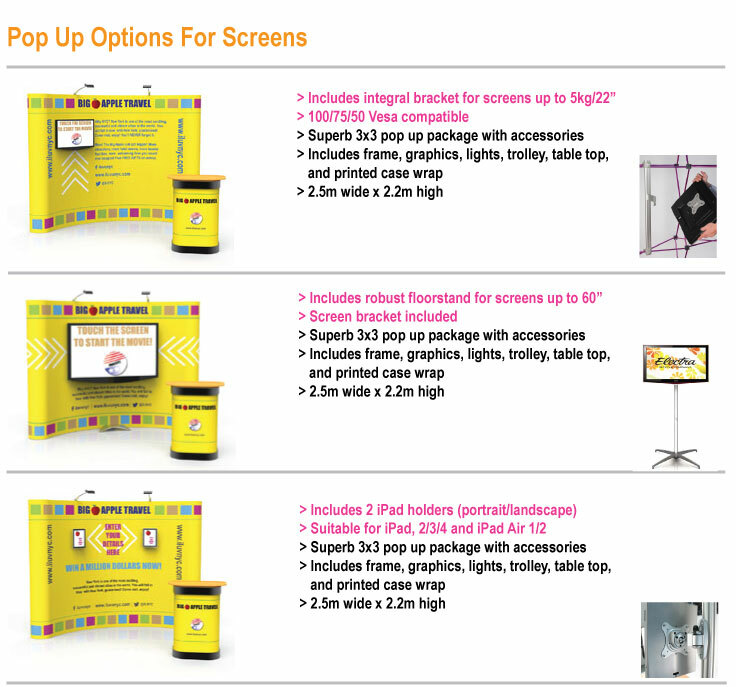 Our pop up exhibition stand bundle prices include pop up frame, full colour graphic panels, a moulded wheeled transit case, 150w halogen lamps, printed case wrap and a folding wooden counter top, 2 full colour roller banners and a literature dispenser ! Available in other sizes and straight format as well. Ideal Flexible Exhibition Stand Kit To Fit A Variety Of Space Sizes! This is our 3x3 Curved Exhibition PopUp Package. 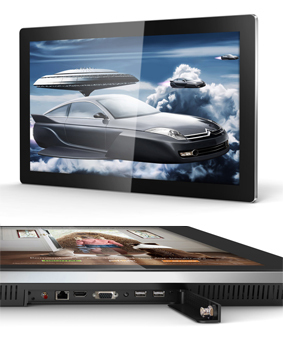 It is fitted with high quality light-block out laminated graphics. You can change the curved pop up to a straight or you can opt to increase the width to 3x4 or 3x5! Please see the size chart further down this page. The kit includes everything you need for a successful exhibition. You have the main display wall, a smart branded counter plus two side banners which means you can re-arrange the items to fit many varied space sizes. Totally re-usable with the option to renew the graphics when you need to! Feel free to call us on 0203 137 2834 to discuss this option with an expert. You also get TWO superb roller banners, 2m high x 85cm wide! Plus a quality portable A4 portable literature dispenser! And, of course, you also get a fast turnaround. All you need do is supply us with artwork and we will get your display back to you, ready to use, double quick. Fast and easy to assemble with straight and curved options. All other sizes available. 1. Choose your selection from the drop down menu at the top right hand corner of this page. The 3x3 curved pop up measures approximately. 2.5m wide x 2.2m high when assembled, considered to be the best height choice for general use in the UK. Please see chart below for other sizes. The banners measures 85cm wide x 2m high. The case/counter is approx, 100cm high x 65cm wide x 45cm from front to back. This product is fully guaranteed against demonstrable manufacturing defects for 10 years. In the unlikely event that you have issues with this product we will either repair or replace the faulty item. Return carriage to our UK address is the responsibility of the customer. 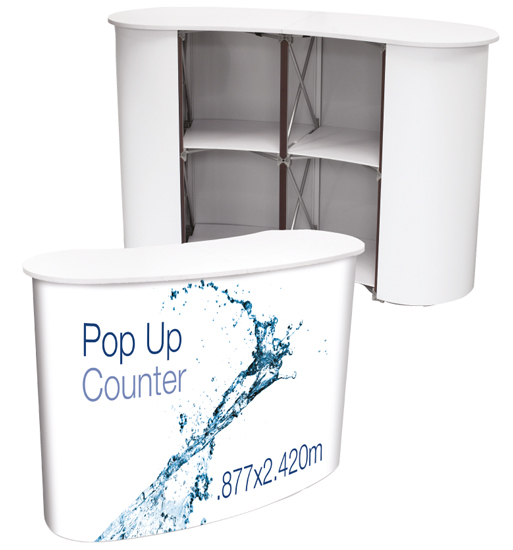 Whist our 3x3 Curved Package is our best selling pop up we also offer curved pop up bundles in all other sizes. Artwork support is on hand if you do not have a designer available. Our delivery charges are based on a standard next-working-day delivery service to a mainland UK address. We can also ship to Europe, USA, Canada, Australia and other destinations. We also offer a range of special delivery options to suit you. Please contact is about the options and costs. You will need to send us design files for this product. Artwork support is on hand if you do not have a designer available.